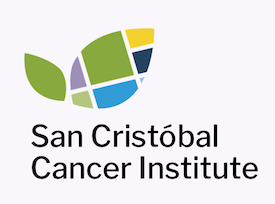 San Cristóbal Cancer Institute works hard to ensure the best possible outcomes for cancer patients of all ages and backgrounds, by providing equal care and treatment to all those under our care. As we expand on our services and continue to grow, we will continue to set the highest possible standard in cancer treatment to become a leader locally and otherwise. The outlook for people with cancer is changing rapidly — and has never been more positive. As a comprehensive cancer center whose leadership boasts over 30 years of radiotherapy experience, San Cristóbal Cancer Institute is helping to make what was impossible yesterday possible today. We are raising the bar in local cancer care and we’re revolutionizing healthcare in Ponce and Puerto Rico. We offer the latest techniques to diagnose and treat cancer, no matter which type of cancer or allied disease your patient may have. Through our multidisciplinary team approach, we provide your patient with diverse physician, nursing, and research expertise, ensuring that he or she has the best chance possible for a cure and a high quality of life. We’d love to see your practice join our efforts. Continuing in the legacy of the old Hospital Oncológico Andrés Grillasca, we are proud to become the new ‘Oncológico de Ponce’. While our community still remembers the legacy and significance of the old institution, we are thrilled to be welcomed to its old facilities, with the same hope and positive outlook as our predecessor. Our Medical Director, Dr. Carlos Remedios remembers vividly his work as a teenager at the Andrés Grillasca Hospital and will always hold its mission close to his heart. We, too, are on a mission to provide comprehensive cancer care with the same passion and desire to serve our community as its founders and loving medical staff. Join us on this new chapter and help us reshape the medical community in Ponce and Puerto Rico. With pastoral services, emotional support and palliative care provided by our attentive nursing staff, we bring warmth and a human touch to healthcare and make each patient’s journey more positive. We strive to lighten the load at every possible opportunity. Using the newest technology, coupled with alternative medicine and palliative care, we are able to provide an innovative treatment outlook, transforming traditional cancer care for our patients. “Cancer” may be the most frightening word in medicine. Life changes suddenly and profoundly after a cancer diagnosis, bringing tremendous physical, emotional, and spiritual challenges. Our team holds each patient’s hand every step of the way. “After more than 20 years at the helm of our original hospital, and after seeing the growth and diversity of the San Cristóbal brand, I am honored to present our newest addition to the SC Portfolio, the San Cristóbal Cancer Institute, a much-needed haven for cancer patients and their families in the Ponce community. In the face of uncertainty and chaos, much like we saw in 2017 with Hurricane Maria, our organizations thrived under pressure and taught us valuable lessons about resilience, about passion and much about ourselves.